Many people are concerned when they discover mold growing inside their homes and worry about their health and the healthy of their family. The immediate response is often to try to “clean” the mold, but depending on the source, extent, and type of mold, this is usually ineffective and often results in potentially unhealthy mold exposure. When you discover mold in your property, it is best to call a mold remediation specialist who will properly treat and remove the mold while taking steps to prevent it from coming back. Mold can affect indoor air quality, and is a common allergen that can cause allergic reactions to sensitive groups. Likewise, mold can also cause significant damage to your property by destroying building materials or weakening structural supports. To minimize the amount of damage caused to a property, it is important that mold is inspected by a professional mold remediation team and removed at the source of the problem. Mold does not require many things to thrive. All that mold really needs to grow is moisture. Standing water, condensation, leaks, cooking steam, and high humidity can all contribute to mold growth. 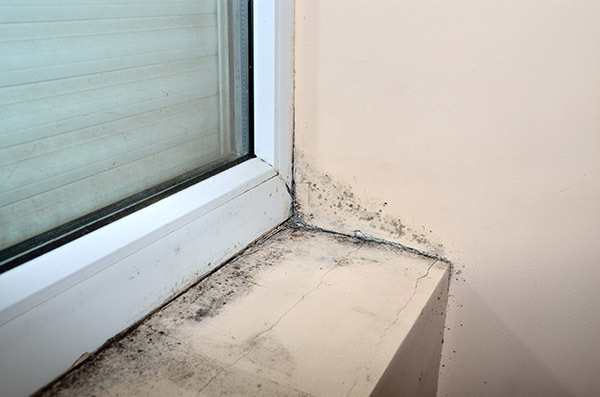 Mold feeds on organic materials, and is commonly found on ceilings, window sills, walls, shower tiles, basements, and can be hidden in walls or beneath flooring. When visible mold growth occurs, it is also possible that hidden mold growth has been ongoing, and a mold remediation professional should be consulted to determine the extent of the damage. If a mold problem appears in your home or business, we do not recommend that you attempt to remedy the situation on your own. Many DIY mold removal solutions only address the surface mold. When mold is not eliminated at the source, it will continue to grow across structures and cause more damage. Successful mold remediation relies on professional mold removal experts who are skilled and educated in state-of-the-art mold remediation techniques and have the equipment needed to identify the source of a mold problem and eradicate it the right way. If you suspect mold in your home because of a musty odor or visible surface mold, contact the professionals at Sierra Restoration. Our team is highly trained and certified to inspect our property and remediate any amount of mold. We are the team you want when you don’t know which steps to take next. Call us today!